The road work on the Bahrain International Airport Road Development project is progressing as per schedule with nearly 50% of Phase One of the project already completed, said a report. The project is being implemented in two consecutive phases and likely to cost BD5.5 million ($14.5 million), reported BNA. Phase One, costing BD2.4 million ($6.3 million), includes the development of Road 2403 to become a one-way road from the west and the east, and connecting it with the bridge leading to the passenger terminal. The project also includes lighting, pedestrian walkways, emergency stopping lanes and a rainwater drainage network, and will be completed in 22 weeks, it added. The roads will be opened during the gradual inauguration of the Bahrain International Airport’s new building, remarked Essam Khalaf, Works, Municipalities Affairs and Urban Planning Minister, during a recent field tour. “Road 2403 will be expanded to include three lanes, and a U-turn lane and two lanes leading to the traffic lights at the Arad Avenue junction will be established,” he stated. On Phase Two of the project, Khalaf said work has already started and is due for completion within 36 weeks. 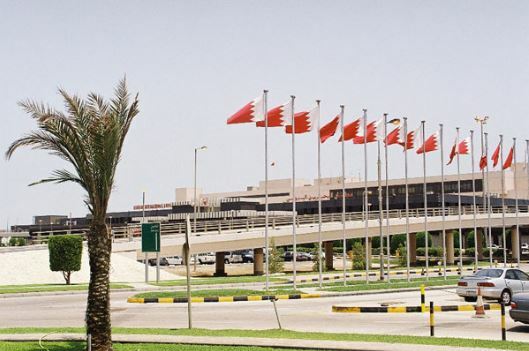 Estimated to cost BD3.1 million ($8.18 million), Phase Two will involve the replacement of the Airport Roundabout by traffic light signals, the expansion of Road 2403 and conversion of the electric cables to high voltage ones of 66 kV, he added.